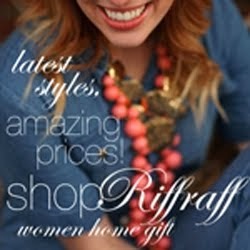 I have received a few messages lately inquiring about how I started this little blog of mine. Now I've given you a few explanations of why I started it and the original purpose, but I feel like I've been in the game long enough to actually give some sound advice. So here are my top tips for starting a blog. Let me know what you think! When I first started my blog it was a jumble of random stories, pictures of projects and life updates. I really didn't know what I was writing about. I would just write whatever came to mind and push publish (I still kind of do that). Now I have a general direction of what I want my blog to be. If I had to describe my blog in 3 words it would be these: Personal, Life and Style. I know the term "Lifestyle Blogger" is very vague and that's why I choose to separate it. My goal is to always be open about my life, I enjoy sharing experiences in hopes someone else has experienced the same thing and BOOM connection made. I always want you to walk away with the feeling you know me just a little bit better with every blog post. So that takes care of the "Personal" and the "Life." As for style, I just really like clothes and shoes and make up. That's all. Start your blog now. Seriously. Write two or three posts and then share it to the world! Let your friends read it, share it with your family… get it out there! I say write a few posts first and then share it, so your readers will stay on your blog longer. It builds interest and helps them get to know you a little better. I use Blogger as my platform. I have a template that was purchased off Etsy from Pink and Lola. I really loved her designs because of the simple and clean lines. Find blogs that are similar to yours. Blogs that you aspire to be like, people you want to be friends with, and big name blogs. Write meaningful comments and put your URL in them. It means SO much to me when I receive a sweet comment (or hilarious one, for that matter) and I'm able to click a link to take me right to their blog. I immediately get to see who they are. This is very important when making connections through blogging. When I first started blogging I had no intention on making money. I knew it was possible and I knew there were professional bloggers, but I really didn't think I could be one of them. Let me be clear with you. I do not make a substantial amount of money from my blog. What I do have are partnerships with companies. In exchange for my blogging services I receive clothes and such. I do not get paid to talk about brands and I will never put anything on my blog just for the sake of free stuff. The point that I am at right now took about 3 years, and it was very organic in nature. So, if it happens it happens. Do not go into blogging with the expectation of making the big bucks. I hope you do, just be patient. Post quality photos and quality writing. Photos are what really engage readers and the writing is what keeps them coming back. Plain and simple. Instagram. Twitter. Facebook. Allllll of those things. Try to pick a username that can be the same on all platforms. It makes life SO much easier! Some of my most popular posts are the Ghosts of Boyfriends Past series. I think the reason why people love them is because we have all had crazy break up stories, horrible first dates or at least know some one who has. Revealing stories that are personal and somewhat shocking let people in on something that not everyone knows. People love secrets, I know I do. So reveal them. Maybe not all of them. Maybe not all at once. But do it. Share a story that's hard to tell. Share a memory that holds a special place in your heart. Challenge yourself to be more open, more honest. The result will be something that greater than you could ever imagine. Sabrina Says has become a place for me to share. There have been times I've had tears streaming down my face as I type or times where I've erased the entire post. But there have also been times I can't stop giggling or I'm SO excited to share a post I wish you were all here to whiteness me writing it. For me, blogging is something I look forward to. Something I love and I hold very personal. This blog has helped me grow. I hope it can do the same for you. I hope these tips are helpful as you start your blog. Please feel free to ask any questions, I will do my best to answer! 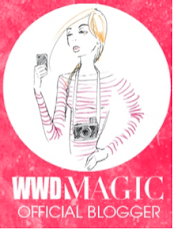 Thank you for all your support in voting for me to blog at WWDMAGIC! You know you can vote everyday?? Please and thank you! Happy Friday, Friends! What are you doing this weekend? I'm making special waffles. You know how I feel about waffles. I'm stupid excited! I will leave you with this picture from my brothers wedding. My wedding gift? Pshhh… I gave them a wedding rap. Any guesses what song? Great advice! Now, is there any video of this wedding rap?? Cause I wanna see that!! Lol. 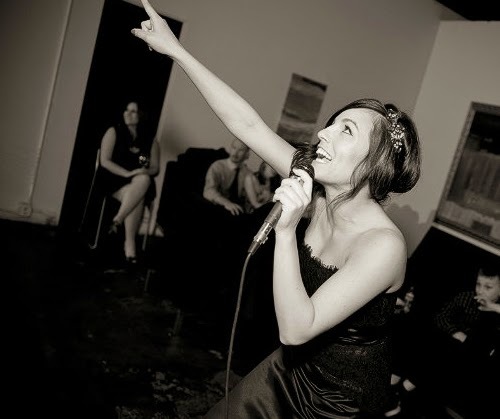 I did a rap at my brother's wedding too! Boom shake shake the room. What was yours? I've only just discovered your blog. It's lovely. people. they can so rude. Great advice for someone like me just starting off!! So I took a video of myself actually getting paid $500 for doing paid surveys to set the record straight.